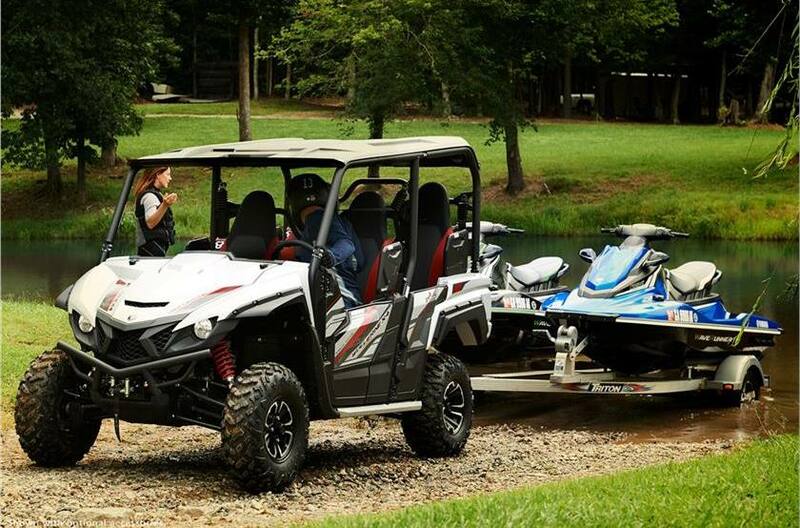 Real World Tech: Yamaha’s advantages in the side-by-side industry are easily seen in the technology that comes standard with every Wolverine X4™ SE: Yamaha’s driver-centric On-Command 4WD, ultra-reliable Ultramatic CVT and industry-leading, speed-sensitive Electric Power Steering. New 847cc Twin-Cylinder Powerplant: Featuring drive-by-wire throttle, a 270-degree crankshaft design and lightweight internals, the Wolverine X4 SE shares performance technology with Yamaha’s class-leading sportbikes, for thrilling power on every ride. 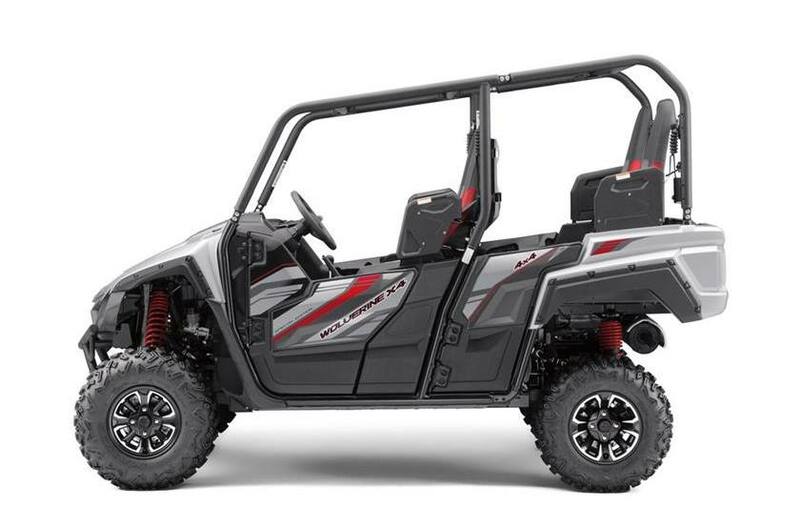 All-New Twin-Cylinder Engine: The Wolverine X4 SE is powered by an all-new 847cc DOHC, eight-valve, inline twin-cylinder motor that features the full range of Yamaha’s advanced performance technologies. 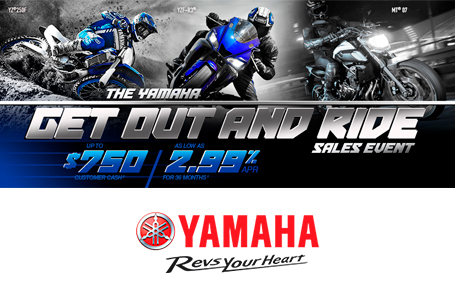 Forged pistons and connecting rods ensure durable high-rpm performance, with Yamaha’s 270° Crossplane Concept Crankshaft for linear torque development and excellent power throughout the rpm range. 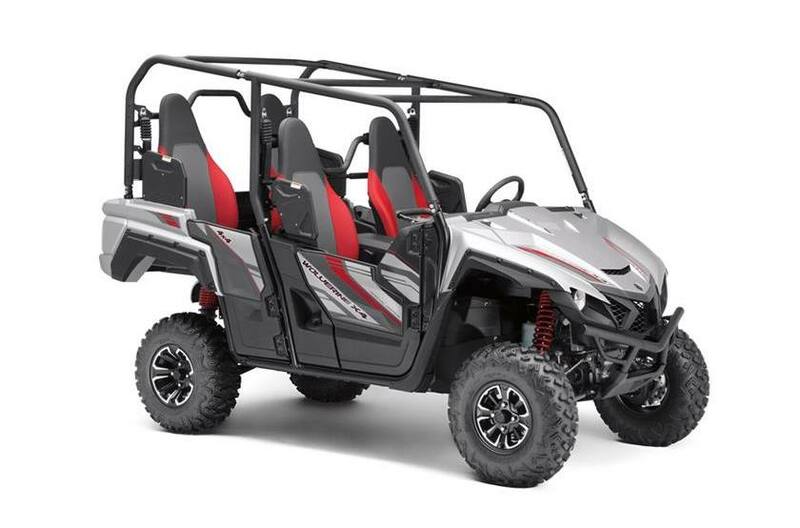 To improve efficiency, the engine features a dry-sump design for a more compact layout and offset cylinder block to reduce friction loss, while rubber engine mounts and a geared counterbalancer ensures smooth running from idle to redline. 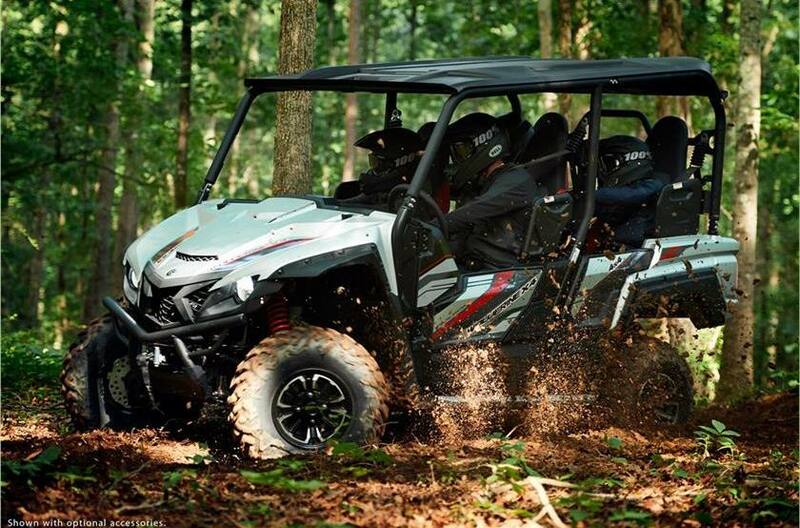 Yamaha Chip Controlled Throttle (YCC-T): The Wolverine X4 SE engine utilizes YCC-T®, a drive-by-wire system that converts the driver’s commands into precise throttle control—Real World Tech for impeccable engine response. 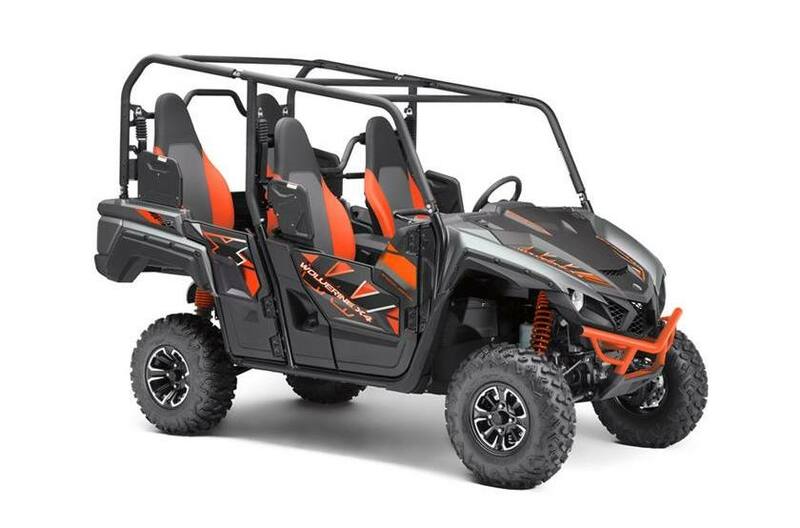 Throttle response is further improved thanks to a new ‘high-response’ servo motor for ultra-fast throttle application, 12-hole fuel injectors and a high-volume airbox with two-stage air filtration. Reliable Engine Lubrication and Cooling: With a large oil capacity circulating in the dry-sump system, a liquid-cooled oil cooler, and a large radiator with integrated blower, the Wolverine X4 SE powerplant is able to handle the toughest jobs without complaint. Speed Management System: The Wolverine X4 SE also comes standard with a new Speed Management System which allows the owner to limit the vehicle to a top speed of 25 mph, ideal for work sites or other special operating conditions. L x W x H: 122.0 in. x 62.2 in. x 77.2 in.